​Alert buttons are used by people who want a quick way to contact help if needed. These devices are often in banks or in stores in case a burglary takes place. They can also be used by elderly or sickly people who are likely to require immediate medical attention. 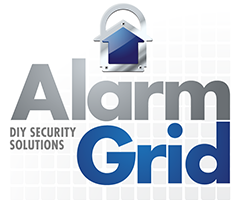 Buy an alert button from Alarm Grid. An alert button can be a very handy device in an emergency situation. Simply put, it is a button that, when pressed, will send out a distress signal to a monitoring station. From there, the monitoring station will send for the appropriate authorities. An alert button can be used to request for a medical team, a fire rescue team or the police. The type of help that is sent depends on how the alert button was set up with the security system. When used for medical purposes, an alert button can allow an elderly or sickly person to live a more independent life. You never know when a loved one might suffer from a serious fall or experience a medical emergency. An alert button can offer peace of mind, both for the person using it and for their friends and relatives. With the press of a button, an emergency medical team will be sent to the location as quickly as possible. In a serious medical situation, a simple alert button can make all the difference. These devices often come in the form of a necklace or a wrist band so that it can be easily accessed at all times. Many of these devices are water resistant so that they can be brought in the bathroom. Alert buttons are also commonly used by stores who want an added level of protection in case of a robbery. These buttons are often installed beneath counters or underneath cash registers. This provides a clerk with a discreet way to alert the authorities in the event of a burglary. Within a matter of minutes, the police will arrive on the scene to help. Some public establishments that commonly use alert buttons include banks, jewelry stores, convenience stores, gun stores and any other location that is prone to robberies. Alert buttons can be programmed with security panels in a number of ways. It was previously mentioned how they can be programmed to request different types of help. A user can also program their alert button to only activate if their button is pressed twice within a short period of time. This can be very helpful for preventing a possible false alarm. Alert buttons can also be used to trigger a siren, or they can be used for a silent alert. A siren is great for fire alerts so that everyone in the area can know about the emergency. On the other hand, a police dispatch is often better suited for a silent alert. This way, the criminals won’t know that an emergency distress signal has been sent out. Like any wireless sensor, an alert button will need to be programmed with the security system before it will function. Each security system manufacturer makes their own alert buttons for use with their systems. Make sure that the alert button you choose is compatible with the type of panel that you own. If you need any assistance choosing an alert button, our support team is happy to help.